The Spray Park is approximately 4,000 square feet of FUN for children. It has 13 water features â€“ 5 in-ground, 5 above ground and 3 water cannons. 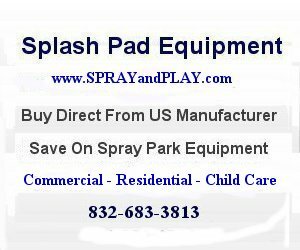 This entry was posted in Louisiana and tagged Lafreniere, Louisiana, Metairie, New Orleans, Park, splash pad, spray grounds, spray park. Bookmark the permalink.